Trevor Pateman's Philately Blog: Armenia 1920 Chassepot Issue: Why Do Collectors Prefer Chicory to Coffee? 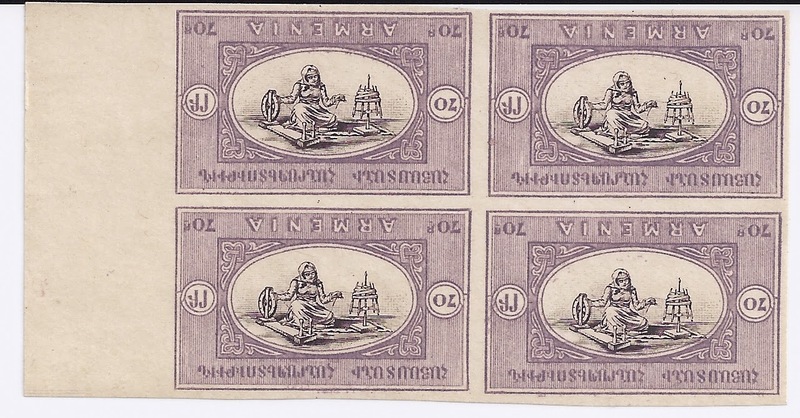 Armenia 1920 Chassepot Issue: Why Do Collectors Prefer Chicory to Coffee? 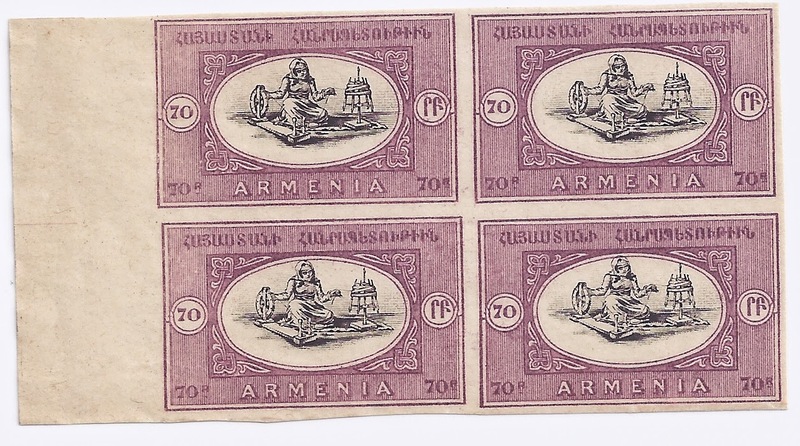 In the just-ended Internet auction at filateliapalvelu.com, I consigned twenty or so Lots of Armenia. As usual, I described all the material as Genuine, Reprint or Forged - and the Genuine material came with good signatures like Romeko, good provenance like Ashford, or new Stefan Berger Opinions. I have studied Armenian stamps for over 20 years but I like to have a Second Opinion. Some of the Genuine material sold, but there was very little competition and some collectors got some very nice items very cheap. All the Reprints and all the Forged material sold, and there was a lot of competition - the material was sold at three or four times the Start prices. For the 1920 Chassepot issue - so-called after the Paris printers who produced it - I only sent Reprint material to the auction. The genuine Original stamps do not sell - I have tried and the results are disappointing. 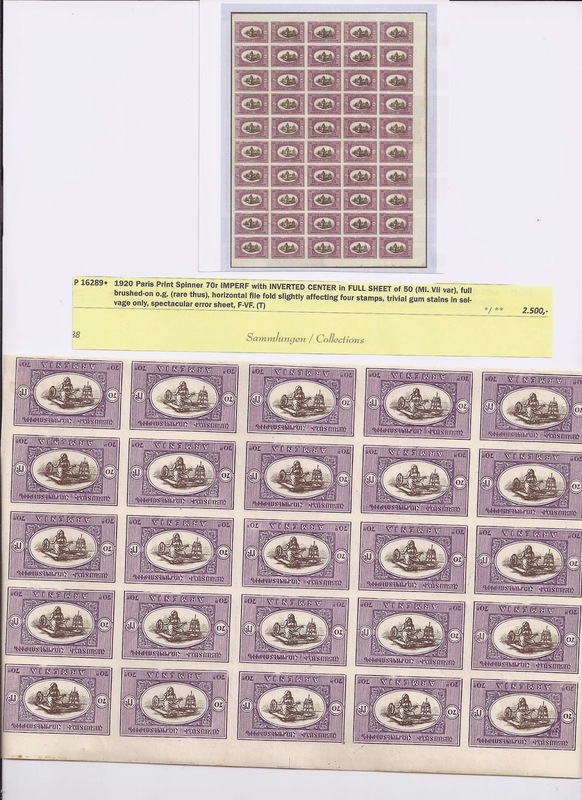 It's a bit of a puzzle why buyers prefer the Reprints - including the Makulatur varieties which are common: imperforates, missing centres, inverted centres and so on. You don't usually expect people to prefer Chicory to Coffee, Ersatz to Original. I remember twenty years ago visiting Dr Ceresa. He produced a box. It had come from a Swiss auction and had originally weighed 12 kilos. Dr Ceresa had taken out what he wanted for reference and offered me the remainders, all of it Chassepot reprint material. I paid a penny a stamp. I think Dr Ceresa made a profit. I made a profit too because I soon found someone who wanted to buy thousands from me, at 3 pennies a stamp. But that was in the days before the Internet. Nowadays, thanks to the Internet, I can get more than 3 pennies a stamp and for the Makulatur Inverted Centres and Missing Centres, a lot more. Other people have made the same discovery. In contrast, I can only show you a block of 4 of the same variety from the Original printing. Probably nothing bigger than a block of 4 exists. This one came from the Robert H Cunliffe collection of Inverted Centres of the World. I paid over 1000 euros for it. It's most unlikely that I will ever get my money back. But I will cover the loss with profits on the sale of Chicory. 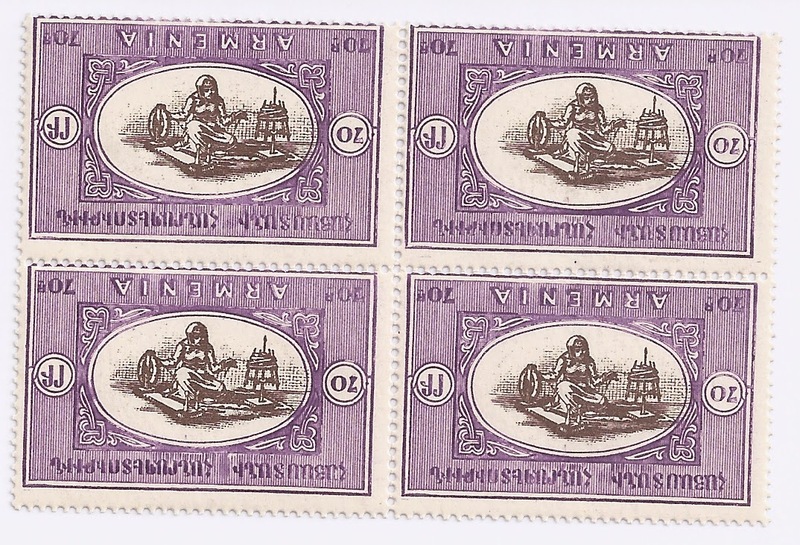 REPRINTS were made from a re-set plate with wider spacing between stamps. The printing method was changed, the printing is coarse, the inks different in colour, the paper and the gum different. As Reprints go, they are very, very easy to distinguish.